Stock Market Prices and News Widget for Webmasters. LiveCharts.co.uk Live stock market prices and news widget for websites. Free live Oil prices, spot Gold price, dow jones index and forex for your website or blog. You can now add our live stock market and commodities prices to your website or wordpress site, and also a choice of our daily updated news headlines. 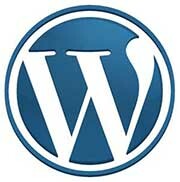 Our wordpress stock market plug in is really easy to install on any wordpress powered site. Our price widget features live quotes for Oil prices, spot Gold price, dow jones index and forex. Or you can choose to just display news, or even both combined! You can customise each widget with your own choice of news or prices to display and change colours to suit the look of your webpage, then just copy and paste the code supplied into your website or blog's HTML. Please note the links under each widget must stay in place or they will not work. Real Time Market Prices Widget. With this widget you can choose live indices, gold, silver and oil prices, and worldwide forex pairs. Either select just 3 prices to display on one row, or up to 9 prices on 3 rows. All borders and title colours can be customised easily using our editor. Stock Market News Headlines Widget. With this widget you can display our news headlines from all of our sections. The options are UK Markets, UK Companies, US Markets, Economic news, Forex and Commodities and Brokers Tips. All borders and title colours can be customised easily using our editor. Combined live prices and news headlines widget. With this widget you get live indices, gold and oil prices, and euro and pound live against the US dollar. You can also choose headlines from one channel in our market news section to display underneath the prices. Choose news for UK markets, international markets, companies news, forex or economic reports. Wordpress Stock Market Plug In. With this wordpress stock market plug in you can display our real time prices on any wordpress website sidebar. Within the wordpress stock market plug in admin area you can customise the colours and titles of your real time stock market plug in. Wordpress Stock Market News Plug In. With this wordpress stock market news plug in you can display our news headlines on any wordpress website sidebar. Within the wordpress stock market news plug in admin area you can customise the colours and titles of your real time stock market plug in.